The Southern Knights have just completed our second season in DCA competition with a 5th place finish at the World Championships held in Williamsport, Pa. We achieved our highest score in our corps 3 year history with a 76.325! Our best captions in prelims were a 2nd in Music Effect, 3rd in Percussion, and 4th in Guard and Music Ensemble. The competition was fierce in Class A this year, with 3 of the top 4 finalist corps having been Class A World Champions previously. Carolina Gold won their 2nd Class A world Championship with a tight finals performance, coming into finals from prelims in 2nd place. They won their first title in 2012. The Southern Knights Drum and Bugle Corps is a new Drum & Bugle Corps in the Birmingham, Alabama area. However the corps leadership has over 100 years of experience in the performing arts arena. The purpose of this organization is to provide our members with an educational program of the highest quality, with the opportunity to develop and continue their musical, visual arts, drum corps and color guard/dance performance abilities in a structured environment. Developing real life skills in teamwork, self discipline, preparedness, accountability, critical thinking, and leadership - all in a family atmosphere that fosters relationships that last a lifetime. 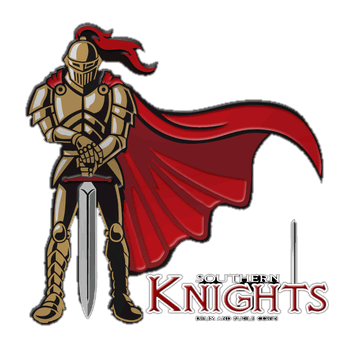 The Southern Knights is a 501(c)(3) non-profit organization. As such, we depend on generous donors to help with the financial needs to operate. Donations are tax deductible under IRC Section 170.